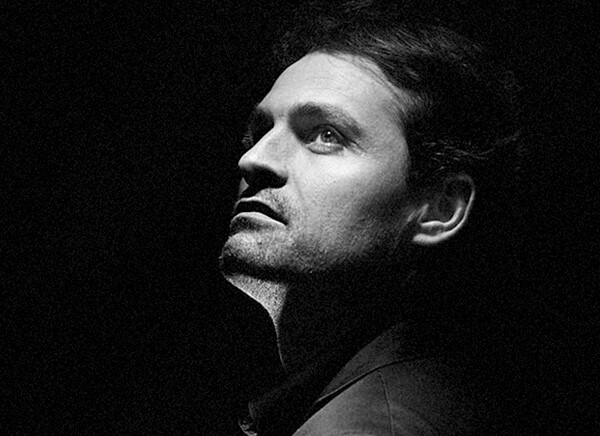 Born in 1975, Damien Bigourdan started his stage apprenticeship in the theatre and joined Le Cours Florent in 1995. He graduated in 1998, then was privileged enough to be taught by Michel Fau. That year, he continued his training by joining the Conservatoire National Supérieur d’Art Dramatique, where he took lessons with Dominique Valadié, Daniel Mesguish, Catherine Hiegel and Olivier Py. Three years after, he graduated with a Diplôme d’Etat. The poet and director Olivier Py then offered him a series of roles in his production of Paul Claudel’s Le Soulier de Satin, a show that toured for five years, before coming to a rest at the Odéon – Théâtre de l’Europe. During the end-of-year show, Au Monde comme n’y étant pas, written and directed by Olivier Py, Damien Bigourdan met the scenographer and operatic tenor Pierre-André Weitz, who was to redirect his career. In 2002, he advised Bigourdan to start training his voice, and gave him his first singing lessons. From 2003 to 2008, Damien Bigourdan attended private lessons with Florence Guignolet, the singer and teacher at the Jeune Chœur de Paris, then with Christiane Patard and Henry Runey. In 2003, he signed his first contract as a singer for Kurt Weill’s Silver Lake, directed by Olivier Desbordes. Since then, he has sung roles in a wide variety of repertoires: Canio in Ruggero Leoncavallo’s Pagliacci, Turiddu in Pietro Mascagni’s Cavalleria Rusticana, Luigi in Giacomo Puccini’s Il Tabarro, Rinuccio in Giacomo Puccini’s Gianni Schicchi, Faust in Charles Gounod’s Faust, Paul in Philip Glass’s Les enfants terribles, Orphée in My Way to Hell a creation by Matteo Fransceschini, the solo tenor in Igor Stravinsky’s Les Noces, Gardefeu in Jacques Offenbach’s La Vie Parisienne, and lately Candide in Flaubert et Voltaire, a creation by Philippe Fénelon. In 2015 and 2016, he is singing Roger in his own production of Peter Eötvös’s Le Balcon with the ensemble Le Balcon, Theseus in Jonathan Dove’s The Monster in the Maze conducted by Sir Simon Rattle at the Festival of Aix-en-Provence 2015, Rodomont in Hervé’s Les Chevaliers de la Table Ronde directed by Pierre-André Weitz, as well as Alfredo in Giuseppe Verdi’s La Traviata, directed by Benjamin Lazar. Since 2010, Damien Bigourdan has been a member of the ensemble Le Balcon which has already entrusted him with several roles, including the lead in Arthur Lavandier’s opera De la Terreur des Hommes, Der Tanzmeister and Scaramuccio in Richard Strauss’s Ariadne auf Naxos, and Arnold Schoenberg’s Pierrot Lunaire. In August 2013, with this ensemble he won the 1st prize at the Stockhausen-Kurses in Kürten for the role of Michael in Karlheinz Stockhausen’s Examen. He has also worked in the theatre under the direction of Sandrine Lanno (Matériau Chimère after D.G.Gabily), Christian Gangneron (E.Durif’s Têtes Pansues), Jacques Descombes (Que viva Offenbach) and in the premieres of texts by Olivier Coyette (Des plâtres qu’on essuie directed by B.Blairet, Les animaux directed by V.Warnotte, and M l’intrépide directed by O. Coyette), and Yves Beaunesne (V. Hugo’s L’intervention). In 2006, he played the Narrator in Kurt Weill’s The Flight Across the Ocean (text by B. Brecht) directed by François Girard at the Opéra de Lyon. In June 2014, he was Pierre de Craon in Claudel’s L’Annonce faite à Marie, directed by Yves Beaunesne at the Théâtre des Bouffes du Nord. Damien Bigourdan has also directed several plays, such as Georg Büchner’s Léonce et Léna at the Festival of Avignon in 1998, and Jean Genet’s Elle which had over seventy performances from 2005 to 2009. In May 2014, he directed Peter Eötvös’s Le Balcon, an opera inspired from Jean Genet’s play of the same title, at the Théâtre de l’Athénée with the ensemble Le Balcon, conducted by Maxime Pascal. He is directing Jules Massenet’s Don César de Bazan with the company Frivolités Parisiennes in 2016. He has also taught dramatic art at Le Cours Florent since 2007.